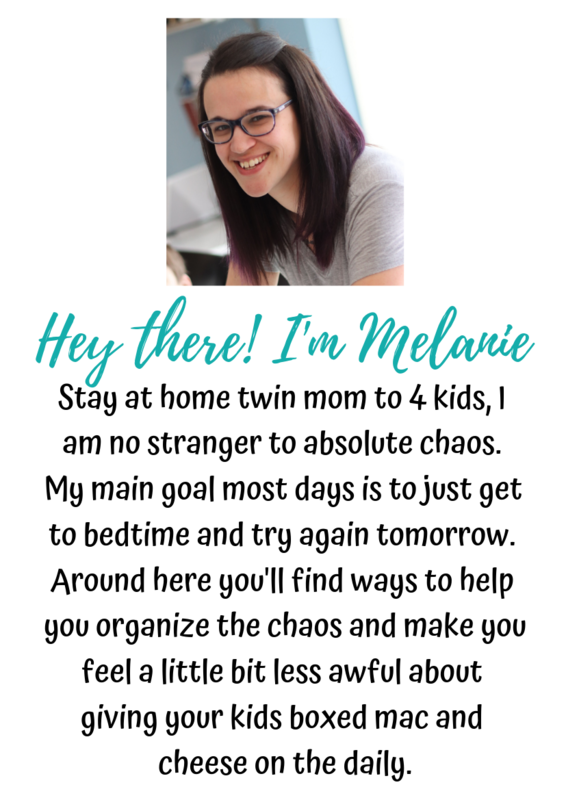 My husband’s friend from high school’s wife (did you follow that?) recently had twins. Actually, the same day R was born. Their older daughter’s 2nd birthday party was last weekend. I texted her and asked what she wanted / needed for her birthday. She rattled off a few things – pretty much anything! But one thing she mentioned stuck out to me – art supplies. Having a new baby in the house is tough for everyone involved, especially the older sibling. Their world is completely rocked. They go from being the light of their parents’ life to something much different. The focus now moves on to the new baby. It’s tough to divide your attention as a parent, too. We had a rough transition here with R was born. I can’t imagine bringing 2 new babies into the house. Two! A few blog posts ago I wrote about some clay that kept D busy a lot – and still does. He goes nuts for it and often requests it. So I decided to go off of that long with art supplies. 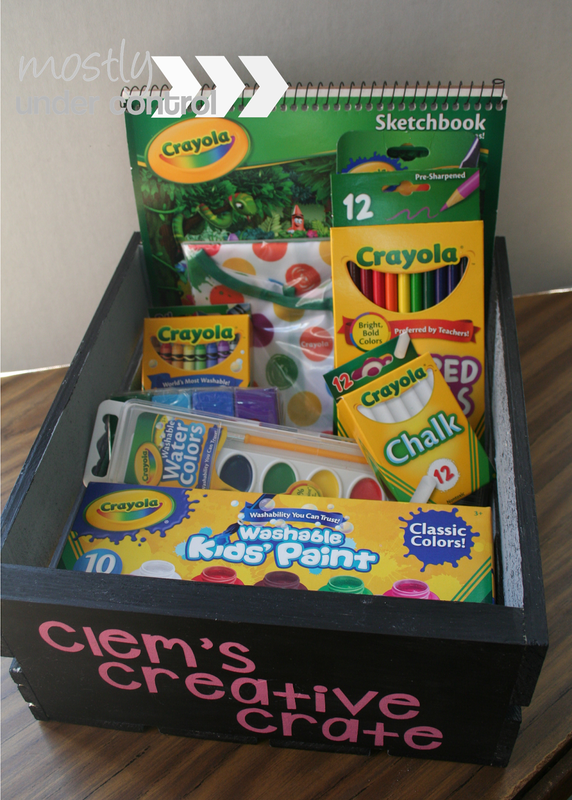 I browsed the aisles of the craft store and grabbed a bunch of art supplies – a pad of paper, colored pencils, crayons, clay, paint chalk, paint brushes and a smock (most important part). So I wanted to contain it all and found a wood crate. I brought it all home and started to paint the crate. 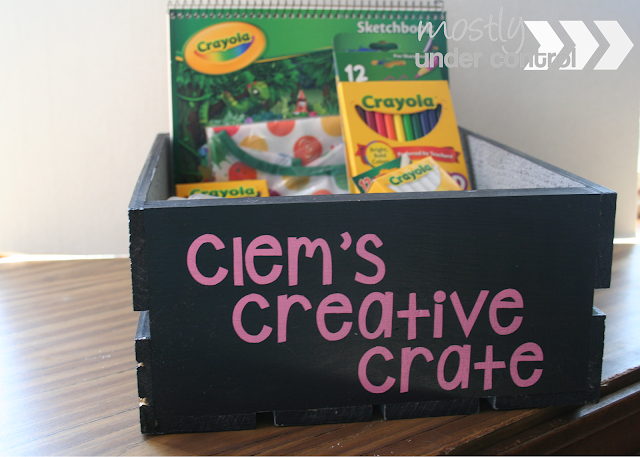 I realized I wanted to make the crate chalkboard safe. 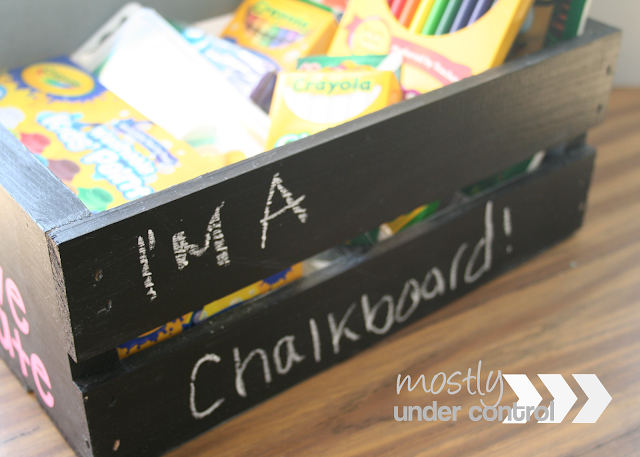 I had some paint that you can put over any color paint and make it a chalkboard. I designed the text in Cricut Design Space and made a stencil. 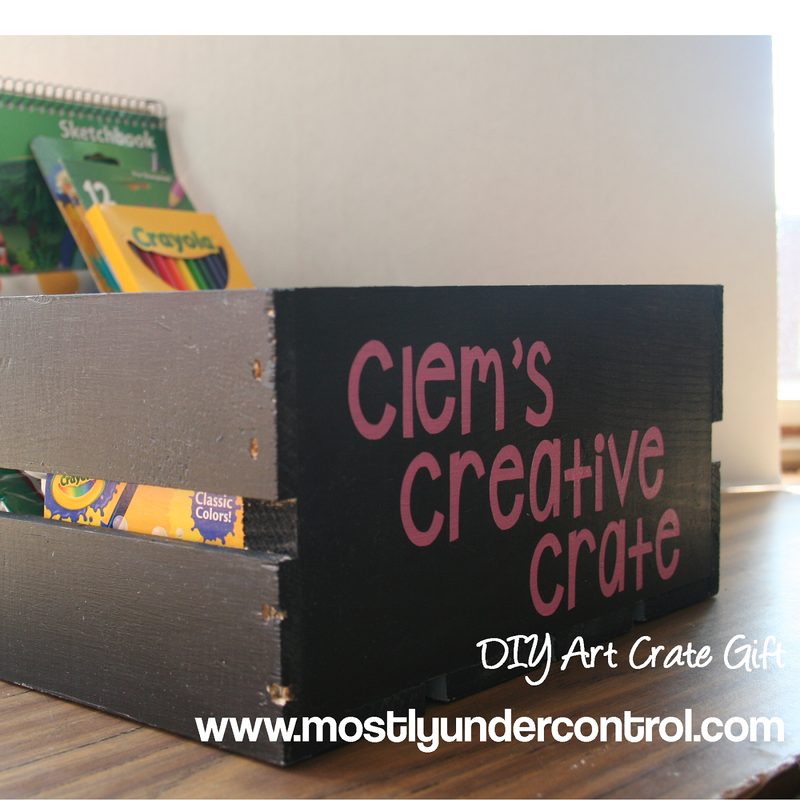 The I covered the outside of the whole crate in the chalkboard cover paint. Don’t forget to prime your chalkboard surface before you give the gift. Take some chalk and rub it all over the surface. Wipe it off and you’re good to go!